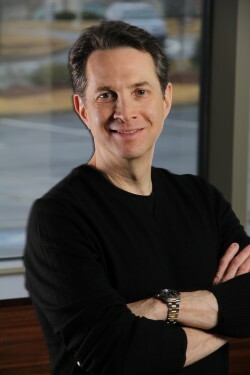 Seth A. Yellin, MD, FACS is founder and director of Marietta Facial Plastic Surgery, Laser & Aesthetics Center. As one of Atlanta’s most well-respected facial plastic surgeons, he has treated thousands of patients during more than 20 years in practice with the goal of making each and every patient happy. Dr. Yellin is nationally renowned for his expertise in creating a natural look when volumizing the face with injectable fillers and performing cosmetic and reconstructive facial plastic surgery. He believes that the ultimate test of a great plastic surgeon is the naturally beautiful appearance of the patient. “An aesthetic success leaves the patient more beautiful without telegraphing that work has been done,” he asserts. Dr. Yellin feels that teaching has made him an even better surgeon. “Teaching in the classroom, the operating room and on the lecture circuit both nationally and internationally requires you to hone your craft to a very high level,” he says. “It has also required me to scrutinize my work. You can’t hide from the truth when there are so many eyes watching.” Dr. Yellin has earned an impeccable reputation as a sought-after presenter and trainer. Dr. Yellin received his undergraduate degree with Phi Beta Kappa distinction from Emory University and his medical degree with Alpha Omega Alpha distinction from New York University School of Medicine. He underwent six years of general surgical and head and neck surgical training in New York City at Lenox Hill Hospital, Manhattan Eye, Ear and Throat Hospital, New York Hospital/Cornell Medical Center, and Memorial Sloan Kettering Cancer Center. Dr. Yellin then completed a fellowship in facial plastic surgery in Tampa, Florida, under the directorship of Richard T. Farrior, MD, a world authority in the field of facial plastic surgery, through the American Academy of Facial Plastic and Reconstructive Surgery (AAFPRS). He is double board certified by the American Board of Otolaryngology (ABO) and the American Board of Facial Plastic and Reconstructive Surgery (ABFPRS). Currently, he is a Fellow of the AAFPRS , the American College of Surgeons (ASC) and has been an oral board examiner for the ABFPRS. Dr. Yellin has appeared on NBC, ABC, CBS, CNN and Fox Television News and has been interviewed by local, national and international publications as an expert in facial aesthetic surgery. He travels the country and the world lecturing on facial plastic surgery. Some of Dr. Yellin’s recent academic articles and book chapter topics include: Secondary Facelifting, Direct Cervicoplasty (Neck Lift), Nasal Reconstruction, Facial Fillers and Post-Operative Care of the Aesthetic Surgical Patient.